Give your waistline a real chance to reveal the more slender version of you that lies just beneath the surface by empowering yourself with this holistic approach that lets you leave the weight-loss struggle behind while still enjoying favorite foods. 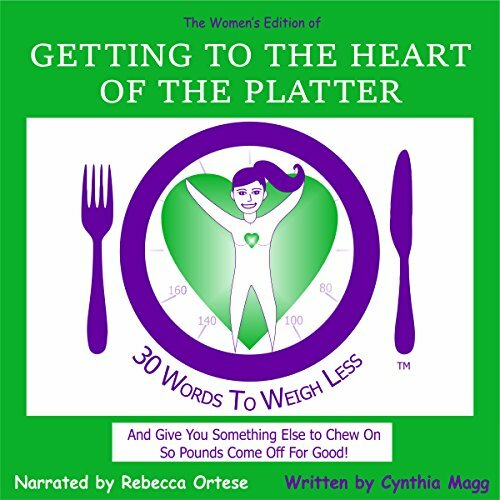 To finally put an end to what triggers your eating and other behaviors to fluctuate wildly, Getting to the Heart of the Platter allows you to tune into the knowledge of your inner self to transform the hidden parts that feel unsure about losing weight. Because when it comes to shedding excess pounds and keeping them off, it's not really about the food. By getting your subconscious mind on board and in alignment with your conscious desires to lose weight, you truly get to relish food for what it is: nourishing, tasty, satisfying, and healing. Also, part of the solution to living in your dream body is not to eliminate your beloved foods, but to see how consuming too much of them is never enough, since we all got programmed in childhood to reach for food to relieve pain and get a surrogate dose of love. If you are tired of forced deprivation and are ready to attain and maintain your ideal weight, then set out on this weight loss journey that complements and supplements every diet plan out there and can even replace a diet. Taking the journey will get you off the dieting roller coaster sooner and lead the way towards a healthy, more peaceful relationship with food.